Screenwriter James McLoughlin sent us this picture snapped in the toilets of the BFI Southbank. Some crafty vandal, possibly after a drink too many at the Benugo Bar, has snuck into the bathroom with a black marker and daubed ‘Nooo! 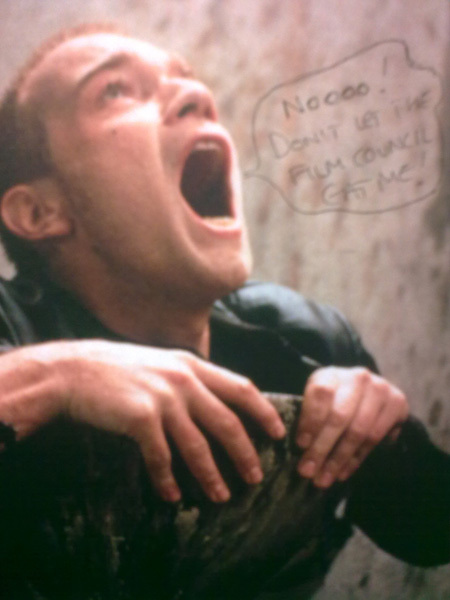 Don’t let the film council eat me!’ on a poster of Ewan McGregor in Trainspotting.